Conveniently located in the heart of the Wellington Central Business District, minutes from prestigious corporations and government offices, the James Cook Hotel Grand Chancellor offers versatile conference venues for a wide range of events – from small breakfasts and board meetings to conferences, training workshops and company-wide sales meetings. The Conference will be held on Level 16 of the Hotel. The hotel can be accessed via lift from the James Cook Shopping Arcade on Lambton Quay. The lifts are located at the back of the arcade. By taxi – taxi ranks are located directly outside the baggage collection area. Expect to pay around $30-$35 for a single journey. This could be more during rush hour. 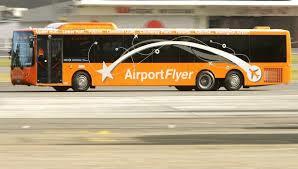 By bus – the airport flyer is a convenient 25 minutes transfer from the airport to the Grand Chancellor. The bus stop is on the right side of the airport exit on the ground floor – a minute walk. Cost $9.00. Get off at Lambton Quay central – then take the Hotel Grand Chancellor lift from Lambton Quay up to the hotel. From State Highway 1 take the Terrace off-ramp, which leads straight onto the Hotel forecourt. Covered valet car parking is available at a rate of $29.00 per day. Please note there is a vehicle height restriction of 2.2m.